Agreement implies the construction of a new marine terminal in Poti with funding allocated by OPIC. In the opinion of the Head of Government of Georgia, it is a very important milestone, as logistics has a vital importance for Georgia in the process of its transformation into an economic hub of the region. "It will be a state-of-the-art terminal complex, which will lead to wide-scale adjustments to the economy of the country and region at large. I am confident that this project will become a role model not only for our country, but throughout the region. 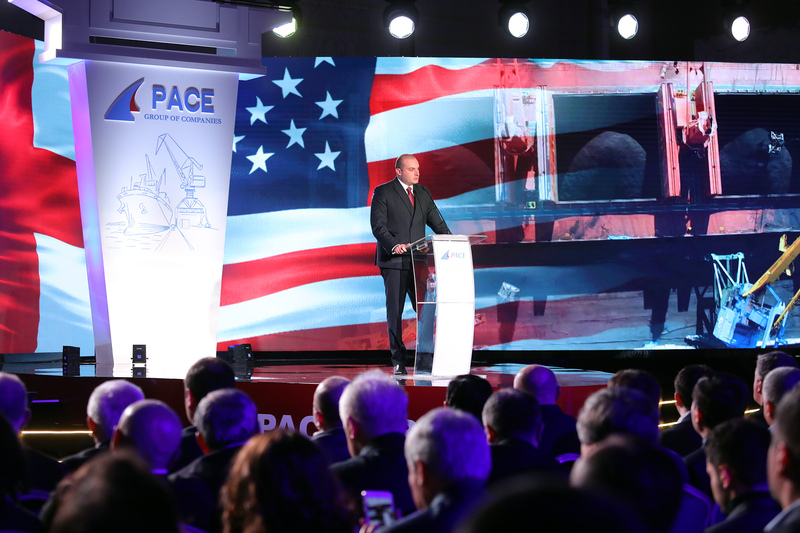 Financial participation of a US Government institution in this project and 50 MLN USD allocated by OPIC once again evidences that Georgia is a reliable and important partner for the USA. We noted at multiple occasions that relations between Georgia and USA are at their all-time-high. Economic dimension of our relations enjoys even higher growth and I am particularly delighted about it" added the Prime Minister of Georgia. Head of Government of Georgia spoke about a significant contribution made by the OPIC in the economy of Georgia and noted that years back it was an organization that pioneered in funding projects in Georgia. According to the Prime Minister of Georgia, so far OPIC has invested almost 600 MLN USD in about 60 projects. Prime Minister of Georgia expressed his sincere gratitude to the management of OPIC and Kenneth Angell, Managing Director of OPIC who is currently visiting Georgia and who has been consistently engaged in the investments made by OPIC over all these years. "OPIC has truly significant plans towards Georgia. We are very grateful to our US friends, as they took a decision to augment their funding towards our country, which is very important. I wish to thank PACE Group for this milestone project and note that this Group has vast experience and has been engaged in this area for years. I wish to stress that construction of a new and robust marine infrastructure is yet another step made forward towards getting Georgia shaped into a transport corridor connecting Europe with Asia, especially when we aim to make Georgia into an economic, logistics and transport hub of the region" concluded the Prime Minister of Georgia. The key-note event was attended by President of Georgia, officials from the executive and legislative authorities of the country, CDA Ambassador of USA to Georgia and diplomatic corps accredited in the country.